Updated Tuesday April 7, 2015 by Lovejoy Leopards Lacrosse. Parents, please take a few minutes to review this information. 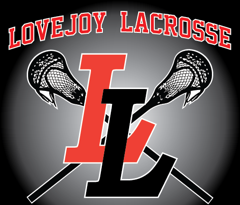 One of our primary goals is to make sure that we are effectively communicating with both parents and players about Lovejoy Leopards Lacrosse events and activities, including practice schedules, game schedules, cancellations, rainouts, and emergencies. To make sure you (and your child) will receive Lovejoy Leopards Lacrosse team messages, we ask that you please visit our league website (www.leopardlacrosse.com) to confirm that your contact information is correct and that you are properly set up in the notification system. I. How do I ensure I am linked to my son(s)’ team(s)? 1. Sign into the league website using your username and password provided when you registered. 3. Make sure the your son is listed in the My Children section and that he is correctly assigned to the correct Division (Bantam/Junior/High School) and team (1st/2nd, 3rd/4th, 5th/6th, 7th/8th, Varsity). 4. If your son is listed on an incorrect team, please email brian@leopardlacrosse.com with the correct player/team settings needed. II. How do I add an additional parent/guardian to my son’s teams so that they receive communications? 3. Click on the Invite Additional Parent or Guardian button under the “Adding Additional Parents\Guardians” heading. 4. Fill in the additional parent/guardian’s First Name, Last Name, and email address and check the relevant children to associate with the additional parent/guardian. 5. Click on the Send Invite Email Button. 6. An email will be sent to the newly added parent with their login information for the Lovejoy Lacrosse website. III. How do I make sure I or any additional parents/guardians are receiving all league emails relevant to my son’s teams? 3. Make sure the email address is set up correctly, (you can change it on this screen if needed). 4. Make sure the “Receive Emails” check box is checked. 5. Click on the “Save My Information” button. IV. How do I ensure I am receiving SMS/Text messages relevant to Cancellations of games and/or practices for my son’s teams? 3. Make sure your Cell Phone number is entered in the “Mobile Phone” box (not the Home Phone box). 4. Make sure the “Receive Text Messages” check box is checked. V. How do I ensure my son is receiving email and/or SMS/Text messages relevant to his team? 3. Click on your son’s name to view his profile information. 4. Make sure his email address is entered correctly. 5. Make sure the “Receive Emails” check box is checked. 6. Make sure your son's Cell Phone number is entered in the “Mobile Phone” box (not the Home Phone box). 7. Make sure the “Receive Text Messages” check box is checked. 8. Click on the “Save My Information” button.